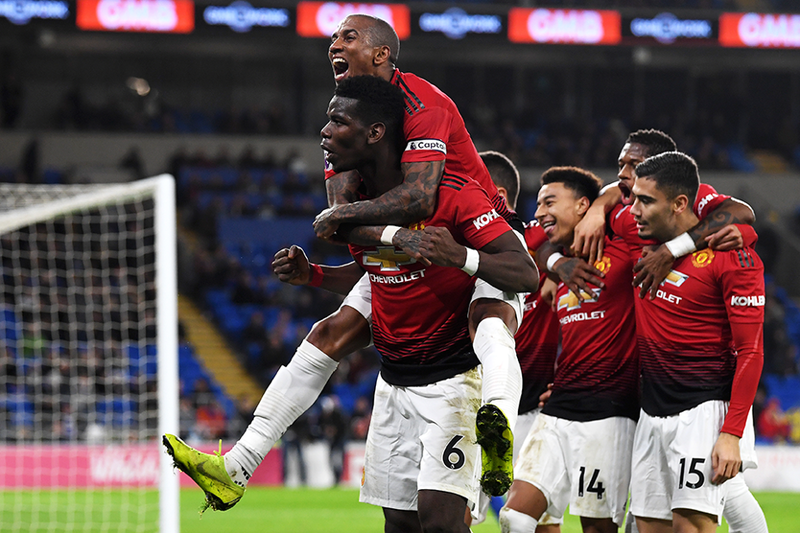 With a new manager and their biggest Premier League win in five years, things are looking up at Manchester United and if history, as well as new-found form, is anything to go by the festive period promises more joy. Man Utd boast the best points returns from matches between 26 December and 4 January. From 76 such matches, the Red Devils have won 48, losing only eight and averaging 2.16 points per match (ppm). Their position at the top is safe but Arsenal's just below them is at threat from Liverpool, especially as the two meet at Anfield on 28 December. The Gunners average 2.01ppm from festive matches, just one hundredth more than the Merseysiders, who are at the top of the Premier League table. At the other end, Leicester City and Watford have traditionally struggled at this time of year, while Cardiff City, Huddersfield Town and Brighton & Hove Albion all enter their second festive period as Premier League clubs looking for a first win.